A normal guy discovers he has super powers and sets out to save his daughter. Psychokinesis is directed by Sang-ho Yeon and was released on Apr 25th, 2018. 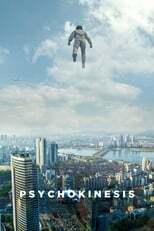 Director Sang-ho Yeon's Fantasy & Action movie Psychokinesis is produced by RedPeter Film & Next Entertainment World & was released 2018-01-31.